"In my system, the form of blues choruses is limited by the small page of the breastpocket notebook in which they are written, like the form of a set number of bars in a jazz blues chorus, and so sometimes the word-meaning can carry from one chorus into another...It's all gotta be non stop ad libbing within each chorus, or the gig is shot." I don't think I'll buy it"
This poem just delighted me. 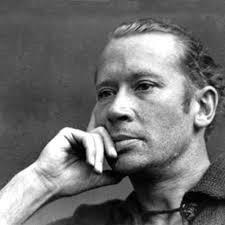 There's a reason why ee cummings poems hold up over time, and why ee cummings image holds up over time. 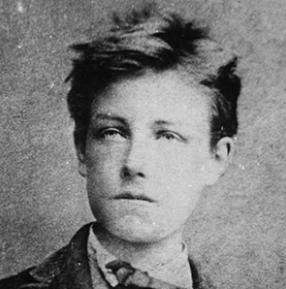 After all, it is nearly 100 years since he began writing poetry. EE cummings is accessible today. What I mean is that he is probably more accessible today than he was in the present tense back in 1932. He was popular, but WAY ahead of his time, considered eccentric. 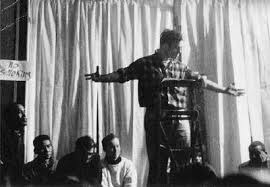 But in addition to his wonderful innovative poetry, look at his pictures. His intellectual good looks, interesting FASHION sense, which would be considered very fashionable even today -- his hair, sideburns, etc. -- quite the intellectual rebel image. Well, enjoy this poem. Nearly 100 years old now; it holds up quite well. And as usual, cummings captures the feel. He puts you on the bed. A tribute to love. A humorous tribute to the human mating ritual. A window into two loving souls. Have you ever romanticized the ancient "bums" of yesteryear? I have. I've placed myself in their shoes, feeling the soul, feeling the real blues. Back in the day, an element of American society began to align themselves with a soulful, sad part of society, for it inspired art and was very real; not contrived or artificial - not CONSTRUCTED. It just was. The homeless, the bums, the broken, the lost -- these outcasts were embraced by artists and musicians and writers as a sort of inspiration. 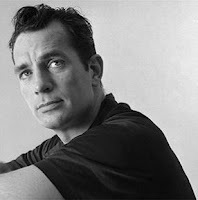 Kerouac helped to usher in the modern era, spawning folk music and beatniks and rock and roll and punk movements, opening up society to a different way of thinking. The hippie movement, punk, grunge...all came from his willingness to lay it out there. Here's an ode to escape. For some, wine may be hard to connect with; in this case I would suggest substitute the words "drinkin wine" for "smokin weed". somehow place hope into context as to how it might play a role in their own lives. Dickinson was a devout, conservative christian woman. No doubt the poem was inspired by biblical readings and interpretations. This poem has served as inspiration for so many people - when times are tough, and it seems as though things aren't going your way, never lose hope. Well done! Aspiring poets, remember the important tool of metaphor and imagery - sometimes they can help to get your message or the intent of the feeling across to the reader quite effectively.